Albania debuts in the final stages of international competitions, after a 2nd place in Portugal’s qualifying group, ahead of several more experienced teams like Serbia and Denmark, a journey clearly marked by the geopolitical episode in the match in Serbia, with an administrative win by 3-0, and the surprising victory against Portugal 1-0 in the first round game, that would dictate the departure of Paulo Bento as the Portuguese’s coach. by its resilience to chase all balls during the 90 minutes. 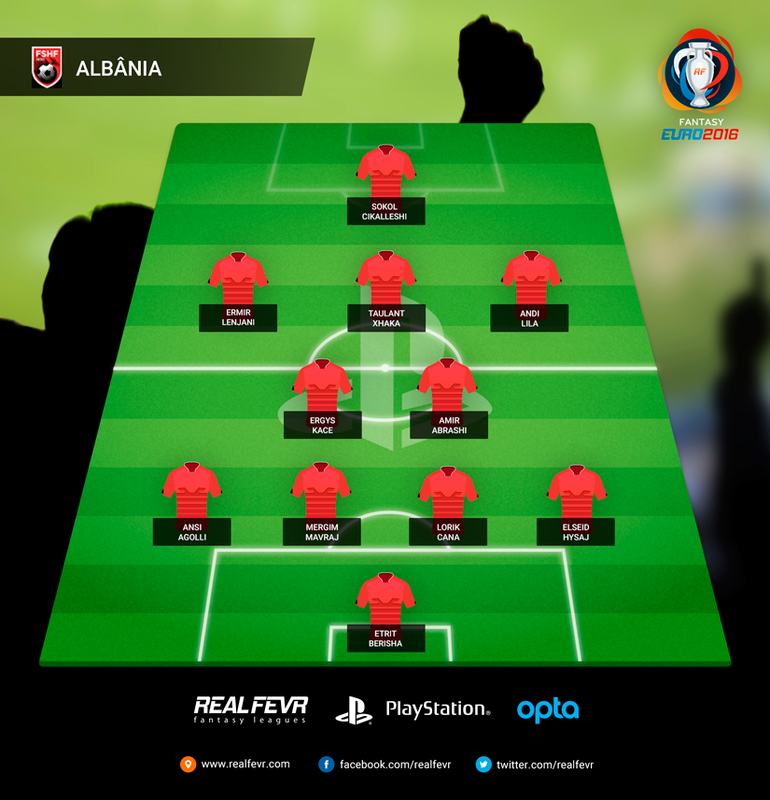 In a tactical scheme that varies between a more defensive 4-5-1 or a 4-2-3-1 at times, when trying to show some offensive capability, the Albanians will have in the elements that make up its backline (with Berisha, a regular substitute for Lazio, included) the key to any kind of success in this competition, with an expected highlight on Lorik Cana, captain and already named as the best Albanian player ever. The defensive streak of Italian coach De Biasi is more visible on the sides of the pitch, with Lenjani and Lila acting as wingers, although both came through football as defenders. Although not guaranteed to appear as a starter, the great hope for the Albanians is Rashica, the 19 year-old who shot his way into Vitesse this season, with 8 gols and 3 assists, and has been considered a rising star in European football.